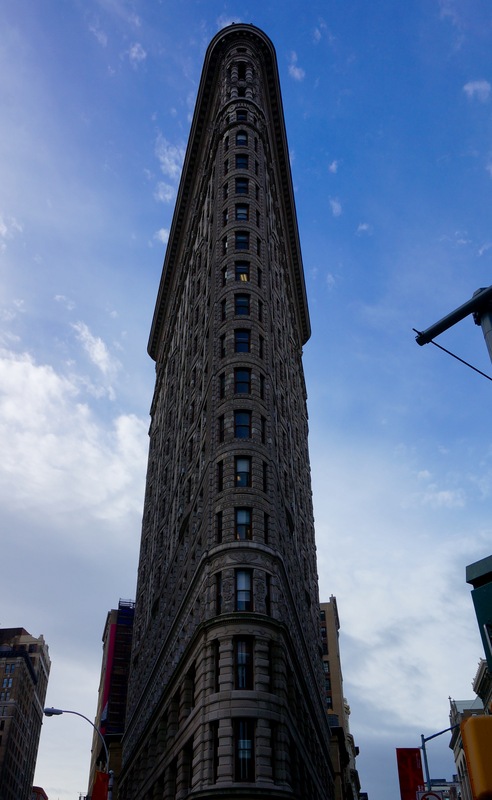 We took a morning walk up 5th Ave around Midtown, past the Flatiron Building and the Empire State, through Times Square and up to the south west entrance to Central Park. 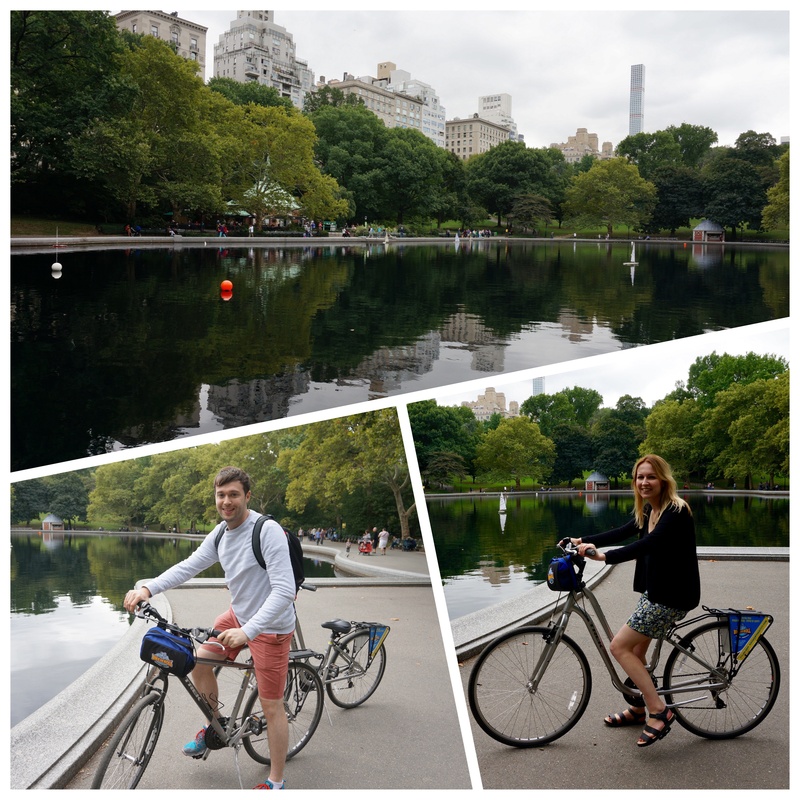 Our plan was to hire bikes (use the proper kiosk inside the park rather than the touts outside) and in an hour we managed to cycle halfway around the park, past the Alice in Wonderland statue, round the lake and down past Strawberry Fields. It was a quick whizz round but we managed to see everything we wanted to and the fast pace was good exercise! The park was getting ready for the Pope’s visit and was very busy; police were everywhere and helicopters were constantly circling overhead. 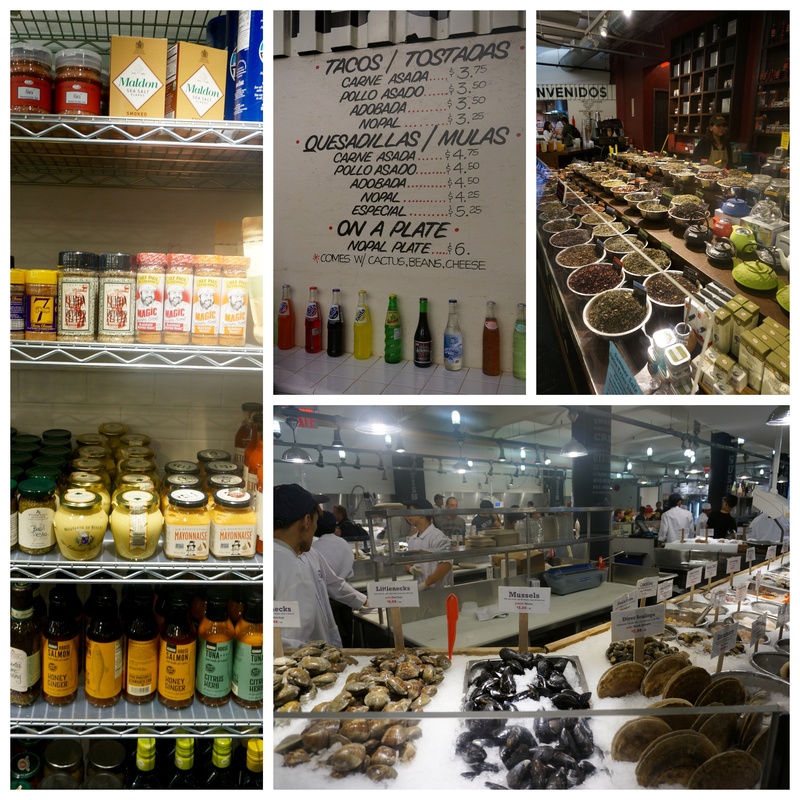 Afterwards, we made our way on the Subway down to Chelsea Market (W 14th Street); an interesting space to wander round and get some lunch to take out on to the Highline. 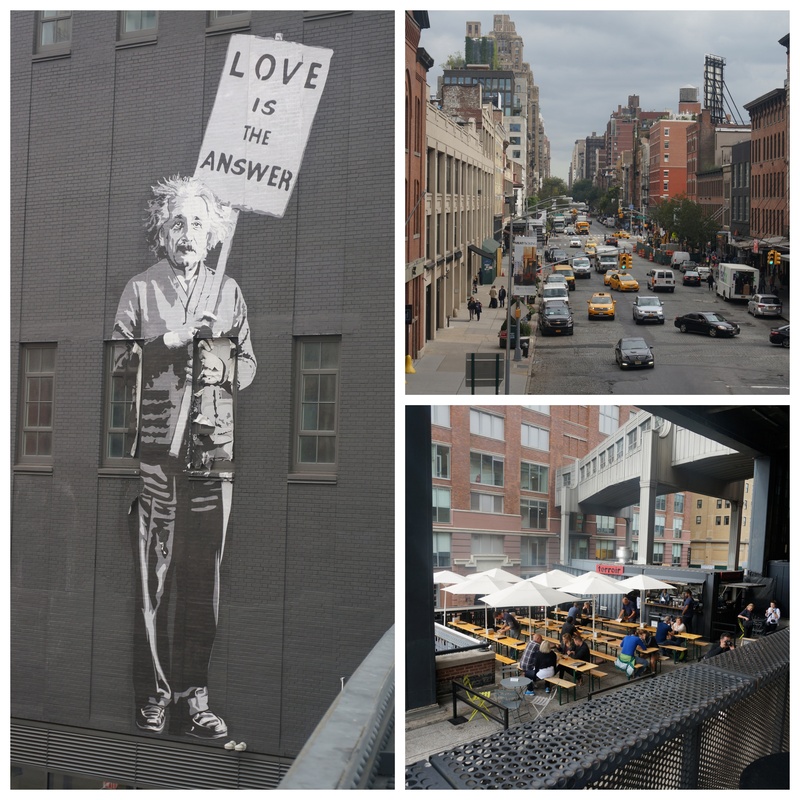 The Highline is a disused railway viaduct which has been brought back to life by a group of volunteers, and it’s a great way to walk through Lower Manhattan without having to stop and cross at every block. The Highline become much more popular since we were last there, with street food vans and cafes now on the Viaduct itself. We sat and watched hectic New York life go by.